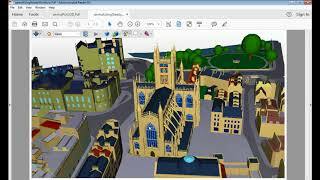 The plugin allows you to convert 3D models to 3D PDF file. 10. Option to add property to PDF. 11. All the Navisworks views added to 3DPDF. 12. 3DPDF can be converted from Navisworks using Batch process. For more information please contact to support. The application is available in both versions, trial as well as pro. 1. License key will be provided after purchase of Pro version. 2. Add this license key in Help dialog and activate the plugin. 1. 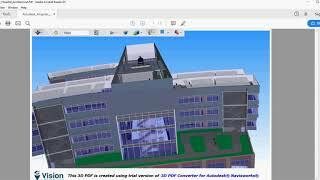 All the Navisworks views added to 3DPDF. 2. 3DPDF can be converted from Navisworks using Batch process. For more information please contact to support.